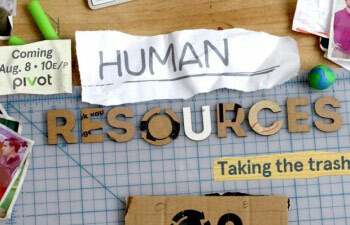 The TV series, Human Resources by Pivot, follows TerraCycle on our office adventures. Anything goes - dogs at work, Nerf gun battles, garbage shredding experiments and more... it's like a big science fair goes to work at a circus. We might be all about collecting garbage at TerraCycle, but this show is taking the trash out of TV. Catch all the episodes from season 1 and season 2. Watch me and my coworkers recycle, upcycle, and find humor in everything that comes our way. And stay tuned for season 3 later this year!